I'm a writer, fiction and nonfiction, and have been all my life. My first professional publication came when I was in my mid-teens. Since then, I've written novels, short fiction of various lengths, biographies, popular history, articles and essays, computer games. encyclopedia entries, educational presentations, ghost-written and pseudonymous novels, and more. As a freelancer, I've written on topics that range from the history of science in Korea to the effects of glass on world culture, from medical journalism to reflective essays on gardening, book and software reviews, examinations of large data operations to considerations of the next stages in human evolution. My novel Passing Judgment anticipated many of the issues of politics and religion we wrestle with today. The popular History Decoded, co-written with Brad Meltzer, spent several weeks on the New York Times nonfiction bestseller list. I'm a book editor and editorial consultant, working with a diverse and carefully selected clientele to help them polish and perfect their novels and nonfiction books from opening line to The End. I work closely with my clients, helping them not only improve their current work, but also seeking to provide lessons that will help them with their next projects. Good editing is a conversation between peers, not a monologue, and it is the conversation with my clients that I enjoy most when I provide editorial services. I'm a former magazine editor, and was from 1990-1996 the Editor-in-Chief of OMNI, the world's largest circulation science and science fiction magazine, as well as being Senior Vice President of parent company General Media International. 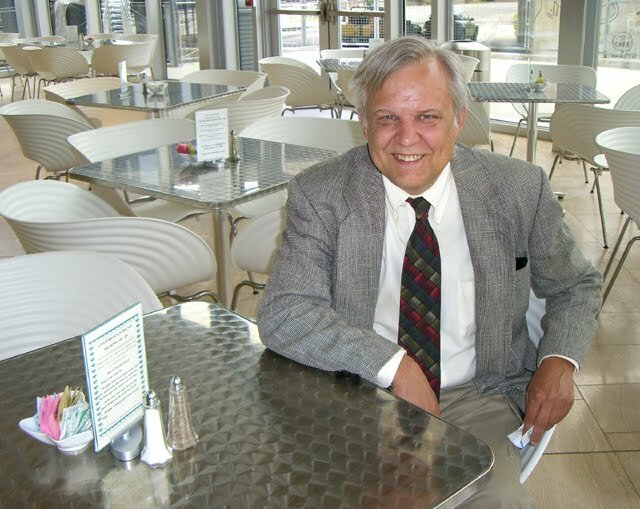 Prior to that I was Senior Editor of the COMPUTE Publications family of magazines, in which capacity I won several awards for my technology journalism. I'm a public speaker, and have addressed audiences ranging from a few dozen to over a thousand, on topics ranging from the nature and causes of conspiracy theories to the history and future of libraries and literacy, futurism and reverence for the past, 21st Century business challenges and opportunities, the risks faced by the joys and virtues of inconvenience in a world obsessed with quickness, I've appeared frequently on television and radio, and for several years hosted a technology program on American Airlines' in-flight video channel. I'm a reader, constantly and incessantly, surrounded by tens of thousands of books and periodicals. My reading interests stretch across the range of human history and knowledge, with history of science and its relationship to culture perhaps the most dominant of my interests, followed closely by ancient history and agriculture. In fiction I have a lifelong and serious commitment to science fiction (real s-f,never "sci-fi") and suspense fiction, but my deepest love is for serious fiction (some which, admittedly, is s-f and suspense) that seeks to say something truthful about the human condition beyond the requirements of genre or plot. I'm a gardener, who often wishes he was a farmer but, with many real farmers among my neighbors and friends, I know how unlikely I would be if my income depended on my crops. I live on 35 mostly wild acres in Virginia, and do my best to live — and garden — in harmony with each of them, and the various animals that live within their boundaries. I'm a member of my community, and serve on the Board of our county library system. But I'm also a proud member of other communities — my family and siblings above all, but also several lifelong friends, the world of science fiction writers and readers, OMNI alumni (staff, contributors, more than a few devoted readers), people committed to caring for the planet and helping its inhabitants (human and otherwise) navigate the rough waters of the times we find ourselves in.